Pistol. 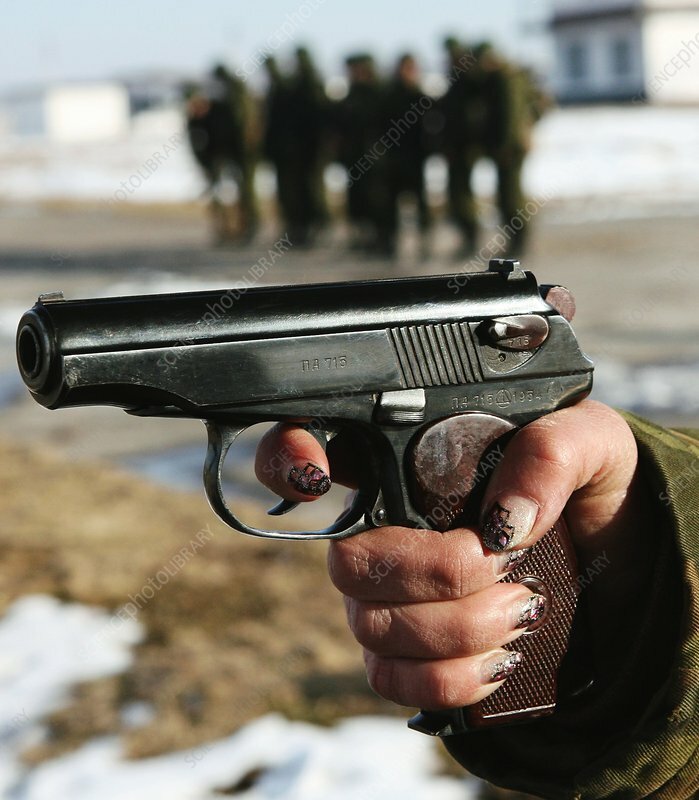 A woman soldier holding a Makarov PM pistol on a firing range. The Makarov PM is a semi-automatic pistol firing 9mm rounds from its eight-round magazine. The Makarov is standard issue in the forces of the former Soviet bloc and its allies in South-east Asia and Africa. Photographed on a range at Kaliningrad, Russia.